In the recent Review of Fifty Public University Honors Programs, some 20% of the total score for each university will be for the special benefits that each provides for honors students. Of this 20%, honors housing will count for 10%; study abroad for 7.5%; and priority registration for honors students for 2.5%. Note: many programs do not regard study-abroad programs as a “benefit” but as an essential part of the curriculum. Some honors educators believe that an over-emphasis on benefits detracts from what should be the primary focus of honors education: learning at the highest level, but without too many perks. 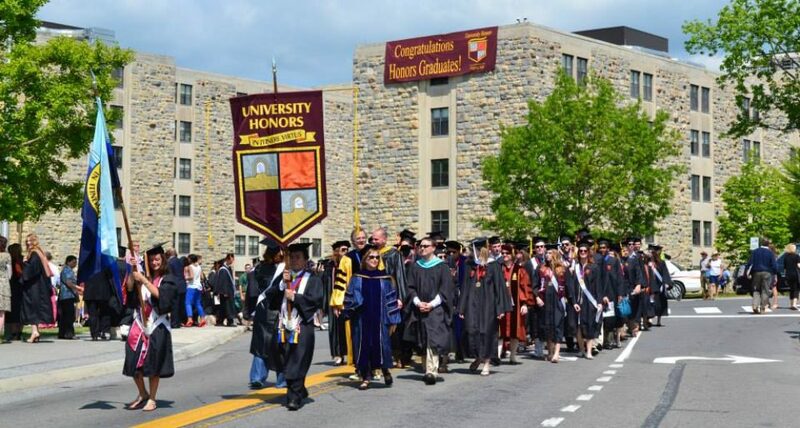 A few of the best public universities do not offer priority registration for honors students, for example, because these universities believe in the high quality of their student bodies as a whole and think that cohesion and mutual respect are more important to their mission than perquisites for the few. On the other hand, students themselves value the benefits, especially if their university is extremely large and bureaucratic, or the campus is far-flung, or they have a keen interest in foreign study, or simply prefer more peace and quiet than most college students. A significant number of student comments suggest that priority registration is the main reason that the students participate in some honors programs. This is not typical, but even when “perks” are not primary, they are appealing to most honors students. The universities among our fifty who scored the highest in the combined metric for honors housing, study abroad, and priority registration are listed below. (Please note that the score for the combined metric does not mean that all of the universities listed below have priority registration for honors students, though almost all of them do.) This list was revised on April 4, 2012. Close behind are Indiana, Iowa, South Carolina, and Washington State.